Keep things bright and carefree with this glowing retro-inspired graphic. Blue lines move expand from a hazy white center, where the words "Hello Summer" appear in blue and orange. A gold banner carries the words "Shine On," with a shining effect coming from the middle of the image. The clean typography feels bright and engaging, and while this is a fairly simple image, it has a number of subtle details that add to its sunny look. 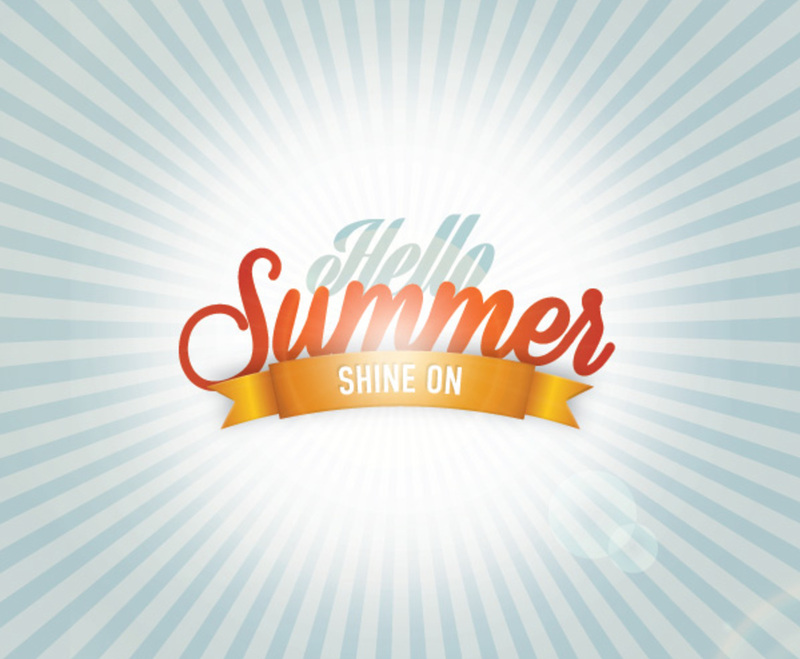 It's ideal for announcing summer promotions or simply for greeting the new season in an active, fun way.